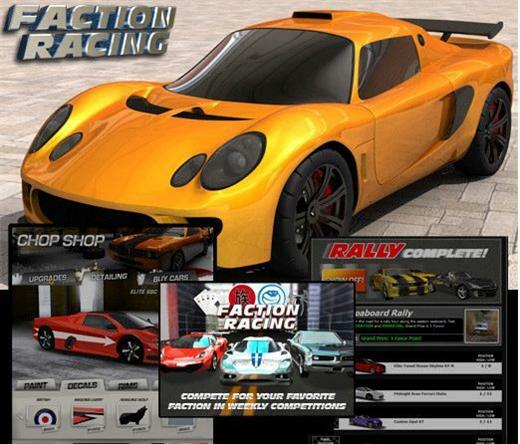 Faction Racing is a Facebook game where you and your friends are about to become rebellious street racers in Faction Racing. 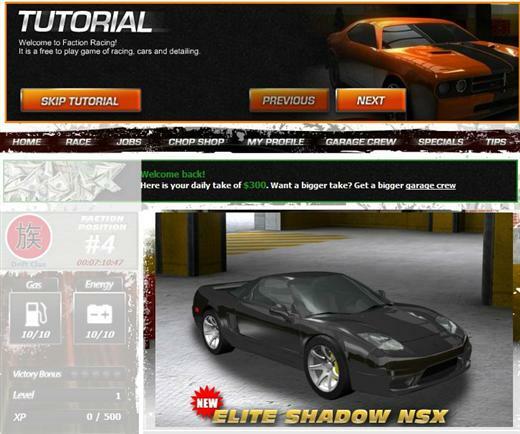 Your crew will collect cars, upgrade them for better performance and race players from all over the world. 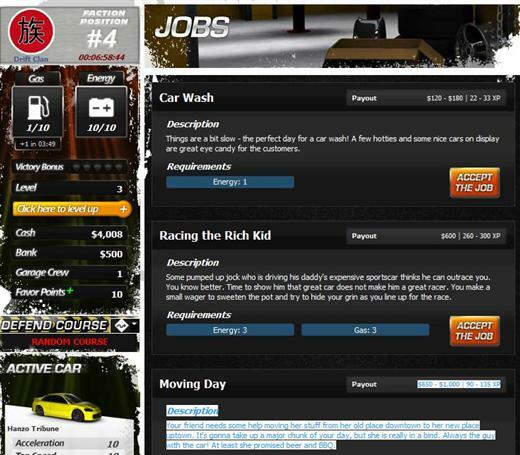 Race, rally and perform jobs to earn cash, experience points and prizes like exclusive cars and favor points. 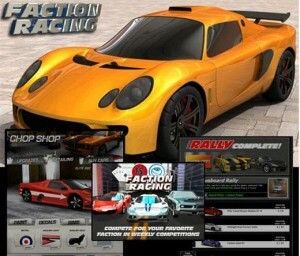 • Experience customized, unique race courses and tracks that only Faction Racing can deliver. Drive the streets of LA, Tokyo parking garages, the Florida coasts and more as you and your crew gain experience and build your earnings. • What’s your driving preference? Import or muscle? Choose your ride from sleek and styled import to heavy metal muscle. 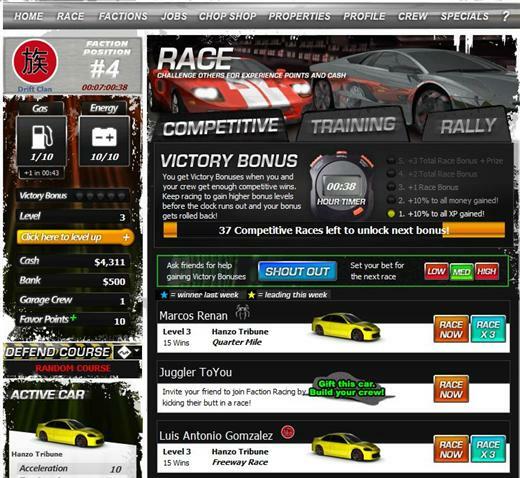 Car attributes help define your racing style so why not try a few? • The more friends you have the better you’ll play. Big garage crews deliver big benefits so get your friends on board!